We engage with each other by looking into the other’s eyes. They are key in communicating and connecting to each other, but unfortunately, the area around the eyes is also one of the first to show ageing. Signs of aging affecting the eyes include increasing wrinkles, excessive skin looseness and discrete bulges around the eyes. Those who have such excess loose skin of the upper eyes may have ‘hooding’ of the eyes which can obstruct vision. Lower eyelids can also appear to be sagging. Overall these give a tired, puffy look to the face. Blepharoplasty (Eyelid surgery) is surgery to the upper or lower eye lids to achieve an improved and youthful appearance. It is the most common operation performed by cosmetic surgeons worldwide. During blepharoplasty, excess skin and fatty tissue is removed around the eyes, and muscles and fat pads are repositioned in order to give a youthful, fresher and well-defined eye shape. Upper blepharoplasty (upper eyelid surgery) can be performed to correct heavy or puffy upper eyelids. Lower blepharoplasty (lower eyelid surgery) tightens the lower lid the improve sagging or wrinkles. 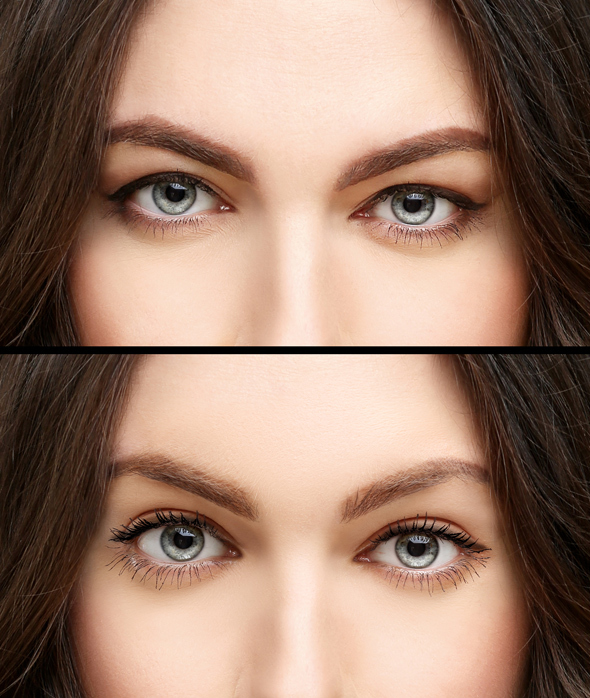 These are two different procedures which help to correct different aesthetic issues of the eyelids. Blepharoplasty can also create ‘double eyelids’, especially popular among Asian patients who are genetically predisposed to having an absent or very small upper eyelid fold. Please note that Blepharoplasty does not correct dark circles under the eyes, droopy eyebrows or ‘crows feet’ lines near the eyes. There are other aesthetic techniques and procedures offered by Finesse Cosmetic Surgery which can help address these issues. Not sure if blepharoplasty is right for you? Maybe you feel more than one type of cosmetic surgery may be required? Or are you interested in non-surgical ways to create a youthful look? What is blepharoplasty: Blepharoplasty involves making small incisions through which excess skin and fatty tissue is removed around the eyes and fat pads are repositioned in order to rejuvenate them. Length of Surgery: Usually between 1-2 hrs. May be longer depending on which technique is used (see below), the complexity of surgery or if blepharoplasty will be combined with another type of surgery. Approximate Cost: Varies according to type, complexity and length of procedure. You will receive a quote with cost of the procedure after your consultation with Dr Verma, tailored to you. Do I qualify for Blepharoplasty? 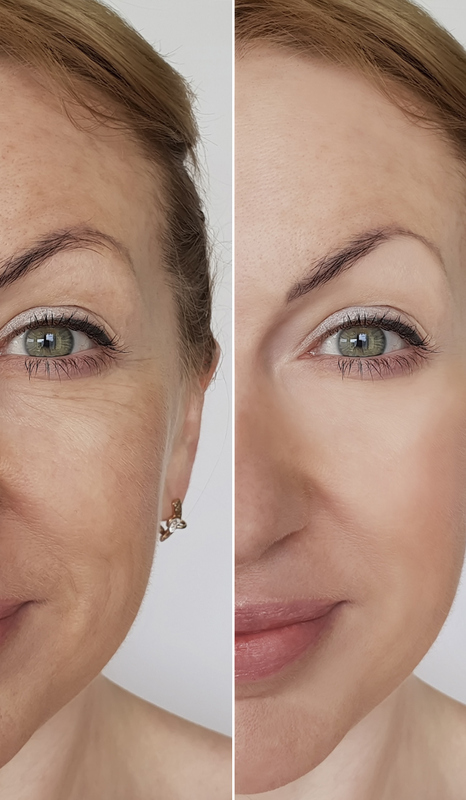 Blepharoplasty is generally performed for candidates over the age of 35 (although those wishing for ‘double eyelid’ blepharoplasty can be younger). You need to be in good general physical and mental health to undergo surgery and ideally be a non-smoker or amenable to quitting pre-operatively. It is important to understand that cosmetic surgery performed by Dr. Verma is done with finesse, with the aim of giving a subtle but noticeable natural and elegant look. Good cosmetic surgery whispers and does not scream! No two faces are the same. After taking a general medical history, Dr. Verma will analyze your eyelids closely and discuss your concerns with you. He will then suggest a procedure or procedures specifically tailored to address these issues and give you a balanced and rejuvenated look. For a true analysis of your face and eyelids, please avoid wearing any makeup or sunscreen for the consultation. It is also recommended that, where possible, you bring close-up clear photographs of a younger, more youthful you to the appointment. These images help Dr. Verma understand the youthful contours of your face and eyes, as well as the result you wish to achieve so he can adjust your surgery accordingly. Please note that Dr. Verma will be taking photographs of your face and eyelids. Photography is vital in the cosmetic surgery experience and allows Dr. Verma to document and share with you your progress pre- and post-operatively. Sometimes these photographs will be uploaded onto our website. The images are de-identified, with birthmarks, tattoos and other identifying features removed. The images are not altered in any other way, in order to give a true representation of the likely results. Such ‘Before-After’ images help other potential patients like yourself to decide whether this is the right procedure for them. Generally, the consultation is your opportunity to ask Dr. Verma any questions or clear any concerns you may have regarding blepharoplasty surgery. What is the cost of Blepharoplasty? What is included? Cost of blepharoplasty surgery depends on the length and complexity of the surgery. After the consultation, once you have decided you are interested in blepharoplasty, you will receive a quote for the cost of the surgery. This price includes Dr. Verma’s fees (surgeon fees) and the cost of follow up visits up to 3 months post-surgery. It does not include hospital and anesthetist costs but an estimate of such costs can be provided on request. How is Blepharoplasty surgery performed? Are there different techniques? Upper Blepharoplasty (Upper Eyelid Surgery): removal of excess skin and tissue from a heavy or puffy looking upper eyelid which may be causing vision issues. Double Eyelid surgery: Also known as ‘Asian blepharoplasty’, involves creating a higher eyelid fold resulting in a double eyelid which is natural and matches the eye’s shape. Lower Blepharoplasty (Lower Eyelid Surgery): Skin of the lower eyelid is tightened to correct wrinkles, sagging and droopiness. Fat is often repositioned in the lower eyelid to correct hollows or bags under the eyelid. Varies with the types of blepharoplasty. In upper blepharoplasty, the incision is placed in the crease of the eyelid. In lower blepharoplasty, the incision is made either inside the eyelid or just below the lower eyelashes. In both cases, these incisions generally fade to form faint rarely visible white scars, although the degree of fading varies depending on how your skin tends to heal and form scars. General anaesthesia (This means you will be asleep during the operation and may need to be observed for a longer period of time after the procedure). This is administered by a qualified anesthetist who then looks after you during your procedure. The type of anaesthesia chosen for your procedure depends on the type and complexity of your blepharoplasty surgery. What are the side effects of Blepharoplasty surgery? Temporary discomfort, tightness of lids, swelling, bruising. Temporary dryness, burning, itching of eyes. Excessive tearing, sensitivity to light for the first few weeks. These are normal after blepharoplasty and the majority of such symptoms resolve within two weeks after the operation. There are also risks and complications specific to blepharoplasty such as temporary blurred or double vision, swelling at the corners of the eyelids, dry eyes or slight asymmetry between the eyelids. Due to swelling, there may be temporary difficulty in completely shutting your eyes. Sometimes blepharoplasty can cause drooping of lower lids requiring further surgery. The occurrence of such complications depends mainly on whether you smoke, your general health status, how your body heals, as well as your post-operative recovery. Dr. Verma will discuss risks and complications with you during a consultation, as well as techniques and medications which can minimize risks. You will be provided with detailed instructions by Finesse Cosmetic Surgery with regards to care of your sutures, wounds etc. Any sutures are usually removed in 7 days. Your scars may need to be taped to improve healing and their appearance. Returning to work takes 10-14 days, depending on the type of work you do. More strenuous activity (such as lifting, straining, pushing, exercise beyond a light walk) should be strictly avoided for 4-6 weeks. Results will be visible after your tissues heal when swelling and bruising begin to subside which may take up to a month or more. Thus, being patient and optimistic is key to recovery after blepharoplasty. Similar to your consultation visit (see above), Dr. Verma will be taking photographs of your face and eyelids in order to document its healing during follow up visits. 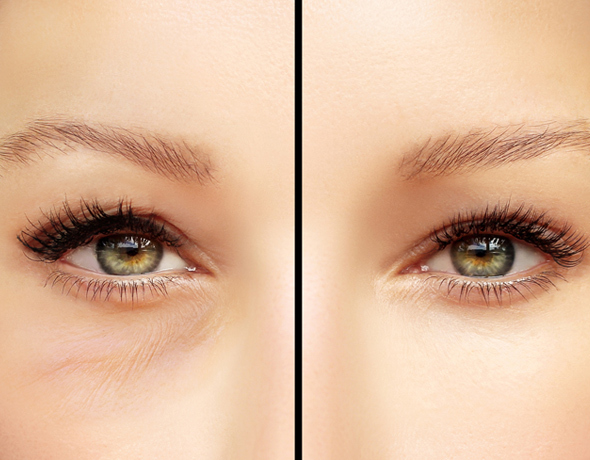 How long do the effects of blepharoplasty last for? Several years but can sometimes be permanent.